What a potentially depressing title, and it’s not hard to see why. Especially in the wake of the recent healthcare decision making things even worse. But the simple truth is – Ohio has a Republican governor and legislature trying to raise taxes on small business owners, using taxpayer money to fund private benefit through public risk, pushing spending increases that continue to outpace inflation and population growth and oppose making Ohio a right to work state (Workplace Freedom!). And that’s just a start to the policy problems. You know about all the political mess that has become Ohio’s party and electoral system. Combine policy and political problems, and BOOM! Ohio continues to lose no matter who is in office. It’s an in-depth case study of how Ohio moved from being the national leader to a national laggard. He critiques how politicians have chosen entrenched interests above taxpayers and how media failures have perpetuated the problem. But most importantly – this book doesn’t just cite the problems. It lays out a path to making Ohio a national leader again through real free market and political reforms. All net proceeds from this book will be donated to Ronald Reagan Presidential Foundation and the free market think tank network, State Policy Network. Order your copy here for just $10 or find more about these problems or the book at the Tax Payers Don’t Stand a Chance Facebook page. I have read this book, and can definitely say – Matt’s critique of Ohio is astonishing and frightening at the same time. My great solace is the prescriptions for fixing our state. I know we can stop Ohio from going down the drain, but it’s going to require some very specific actions – very quickly. Don’t stay in the dark. Read this book, and help us make Ohio a free and prosperous place once again. 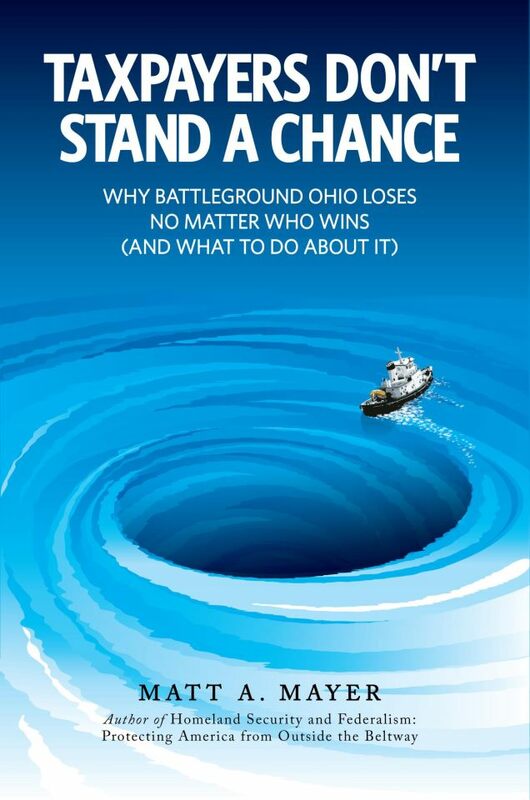 The book is a brilliant description of the serious problems facing Ohio, how they impact the rest of the country, and what taxpayers in the state and across the country can do about it. It is a must-read for anyone interested in politics as well as those who are concerned about the direction America is heading in. In a characteristically selfless move, Mayer will donate all of the proceeds from the book to the Ronald Reagan Presidential Foundation and Library. Order Tax Payers Don’t Stand a Chance today!